The Ganges is 2511 km long. It rises in indian territory in the south-west Himalayas. After completing its journey through India and Bangladesh it discharges into the Indian Ocean through a giant delta. 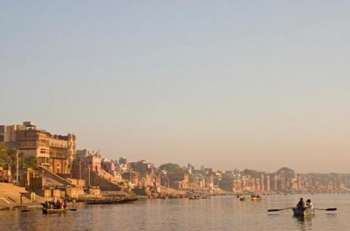 The best time for a Ganges River Cruise is from October to March. On a Ganges River Cruise you will get to know the city of Kanpur. As an industrial centre, traffic and transport hub and cultural heart of the region it is home to various different educational institutes. The Ganges is also home to one of India&apos;s oldest cities: Varanasi, considered the holiest city in Hinduism. Accordingly, it is a centre of traditional Hindu culture and science with a whole array of Hindu temples. The Indian city of Patna — an important commercial centre for rice, cereals and sugar cane etc.— is home to a museum with stone and bronze sculptures as well as terracotta figures. Calcutta is one of the most famous and largest cities on the Ganges. Apart from being an industrial city and centre of culture, the city is also interesting due to the fact that many sights dating back to the time of the English colonial period await the visitor. These include the Victoria Memorial and St. Paul&apos;s Cathedral. A Ganges River Cruise will allow you to see the contradictions and differences inherent in this unusual culture. It&apos;s also like getting into a time machine to travel back to different points in India&apos;s past, making the country&apos;s colourful history come alive. Go on a journey of contrasts.